The audio is superb. The bass, mids and highs are all clear and sharp. The SoundSticks III's award-winning design looks good in any surroundings. 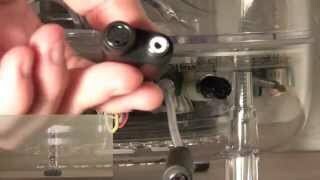 The bass volume control is on the subwoofer itself. 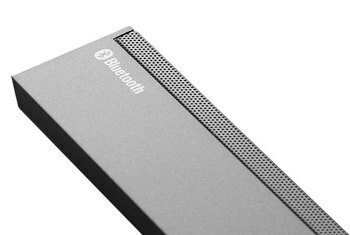 There's no external jack to plug in headphones. 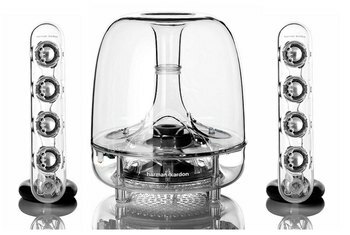 The Harman Kardon SoundSticks III speakers feature a striking translucent design that won recognition from the New York Museum of Modern Art. The two tower satellites contain four 1-inch drivers each. A 6-inch down-firing subwoofer is also included. 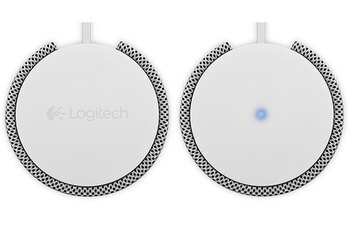 According to the company, firing down instead of at the walls “makes your system less susceptible to adverse room variables.” Although designed with personal computers in mind, you can plug in practically any audio device using its 3.5 mm jack. 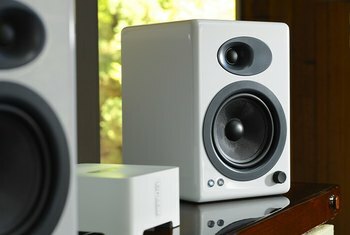 Reviewers consistently give these speakers high marks for sound quality. 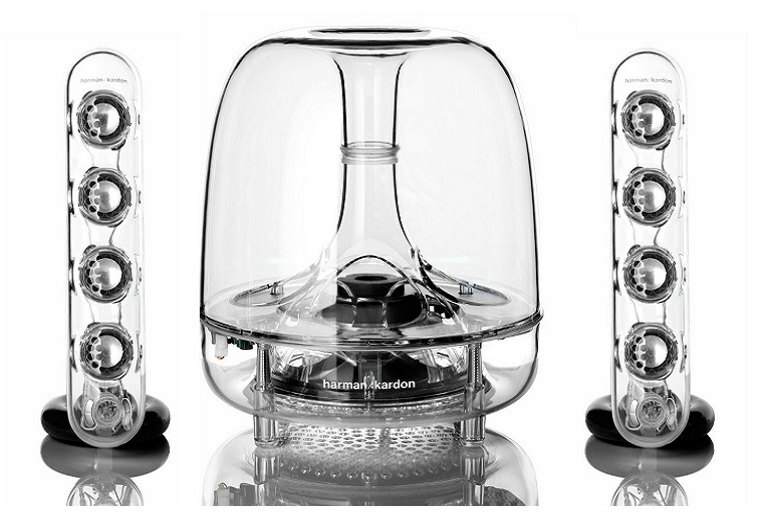 Harman Kardon also sells a wireless version. 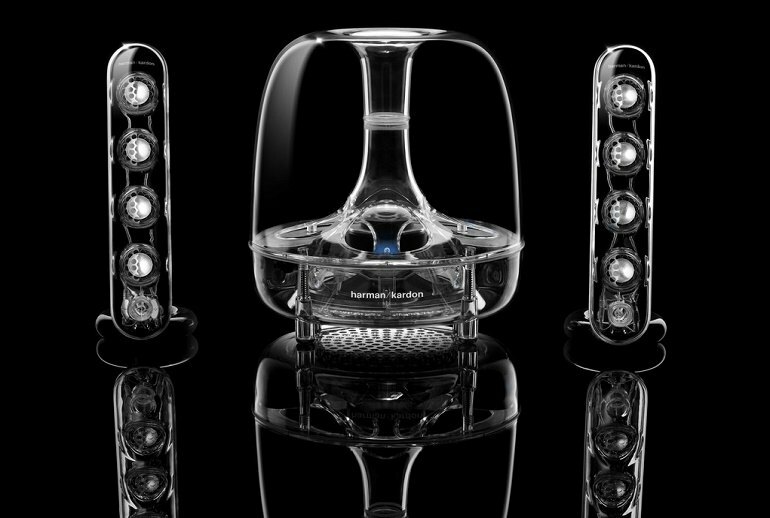 Thanks to its stellar audio performance, the SoundSticks III retains the Editors' Choice for sub-$200 PC speakers . The bass is punchy as hell, and really clear, and the mids and highs feel really well balanced and nice and sharp. 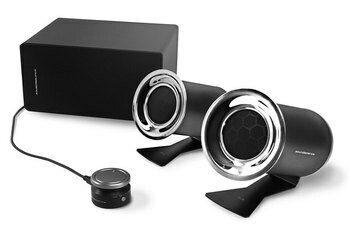 Angle-adjustable satellites, independent volume control for the subwoofer, plus touch controls for volume and mute add to the functionality. 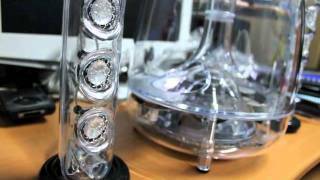 You don't need to be an audiophile to realize that this are excellent speakers. When PCs evolved from office workstations into entertainment centres, they turned from beige boxes into minor works of art. This defiantly innovative approach to visual design has earned them a place in the prestigious environs of New York's Museum of Modern Art (MoMA). If you're a fan of the iridescent design, this speaker system won't disappoint.